In this fast-paced electronic age most people opt to use multiple email accounts. Whether you need several online identities for the purpose of maintaining privacy while blogging, marketing or you are simply trying to decrease the amount of spam clogging your inbox, the maintenance of multiple accounts is commonplace. While it is easy to set up many, many email accounts, it's not so easy to keep track of them. Checking several accounts can take up a lot of time, and if you allow one to remain inactive, receiving hordes of mail only, it will be deactivated. There is an easy way to manage multiple email accounts in a single place, and most people aren't even aware this can be done. 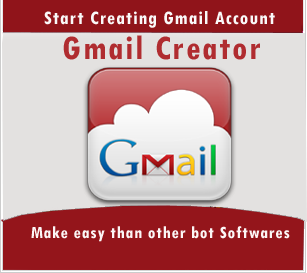 You can create unlimited email accounts within your Gmail account. Launch your browser, then navigate to the Google search page. Click on "Gmail," located on the black menu that stretches across the top of the page. In the top right-hand corner of the window, click on the red box labeled, "Create an Account." * a) Enter your name and choose a user name. If you are setting up an account you will be able to use anonymously as well as for personal correspondence, choose a user name that doesn't contain your real name. * b) Enter a password. For a more secure password, avoid pet and children's names, common dates such as your birthday, anniversary, and never use your social security number. Inserting a special character and a number into a word or phrase is the best way to create a secure password. * c) Enter your birthday, gender, and phone number. Gmail uses your mobile phone number to provide you with security codes for validation. This is their way of keeping your account more secure when you log in from alternate computers or locations. * d) Enter an alternate email address. This will provide Gmail a place to send your password in the event that you lose or forget it. It's a good idea to always give a valid alternate email address, even if it's a disposable address you check just occasionally. * e) Type the verification phrase (if you choose to skip this step you will be required to verify by phone), and your country of origin. * f) Check the box to agree to terms and conditions. The last check box relates to allowing Google to use your account information for "+1's" as well as ads and content on "non-Google sites." Read about this carefully before checking the box. If you do, Google can track keywords coming in through emails to your account, and other information to target advertising and other information. Click "Next Step." Depending on the level of privacy you desire, you may want to consider entering limited information in your profile, or skip it altogether. Consider this especially if you will be using the account for multiple email addresses. When you're through, click "Next Step." On the next window click "Continue to Gmail." You will be taken to your new inbox which already has several emails from Google which contain instructions for using your new mail interface. It's a good idea to make a list of the additional email personas you will want to use, although you can create more at any time. You may find that writing down your email addresses, linking them to each persona or task, will help you stay organized. For instance, you are a blogger, you love dogs, and you're a wizard in your online game. Google Mail has a glitch, whether by accident or design is not clear. Gmail does not recognize full stops in the email address. This means that within the address, before the "@" symbol, you can add dots and plus signs to create additional addresses. For example the Gmail address you just created is umain30@gmail; you can create umain30+indilens@gmail, umain30+blogger@gmail, and umain30.love@gmail. Any emails addressed to these additional addresses will be delivered into your umain30@gmail account. * a) In addition to the use of full stops in the name portion of your email address, Google looks at "Gmail" and "Google mail" as the same thing. So you can use umain30@gmail as well as umain30@googlemail. Both will be delivered into your Inbox, and both can be assigned a label and filtered as described above. Gmail has built in filters which will allow you to create a separate label for each email address you create within this account. You can then organize your emails with these labels. * a) Enter the Settings menu, then click on the "Filters" tab at the top of the page. Click "Create a New Filter" at the bottom of this box. * b) In the "To" box type one of your alternate email addresses. Skip all the other boxes and click "Create filter with this search." * c) Check the "Apply the label" box, then click the arrow next to "Choose label." Then click "New label." * d) Type a label name for this particular email address. For instance, this is for your jsmith+doglover address. Type DogLover. Click "Create." Then click "Create Filter." * e) Repeat the steps to create a new label and filter for each alternate email address you use. Although many people find it desirable to maintain several email accounts, the reality of managing all those accounts can be daunting. The problem comes in keeping track of multiple logins, in multiple places, with multiple passwords. Having to log in to each of those accounts on a regular basis is very time consuming. Being able to create unlimited email accounts within a single Gmail account simplifies matters greatly.